What role do measurements play in analyzing evidence? It’s actually pretty significant, but accuracy is key. When forensic laboratories use tools such as instruments, microscopes or DNA profiling kits it’s important to have physical standards. The National Institute of Standards and Technology develops standard reference materials (SRMS) to help labs calibrate their analytical instruments. In September 2018, NIST released updated versions of two SRMS. Every bullet fired from a gun leaves unique markings. If a bullet is recovered at a crime scene, investigators can test-fire a suspect’s weapon to compare these bullet signatures. A standard bullet is not real, but it looks like a typical bullet you’d see fired from a gun. Each standard bullet contains those markings called striations, simulating the impressions left by a gun. Firearms examiners are able to use the standard bullet with advanced microscope technology to measure the striations on the NIST standard bullet. 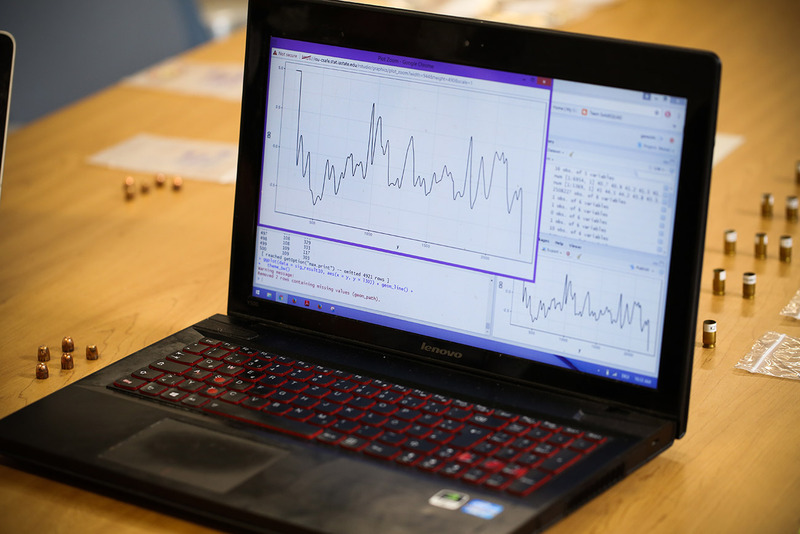 This helps test the instrument’s calibration and analysts can compare results to NIST data. 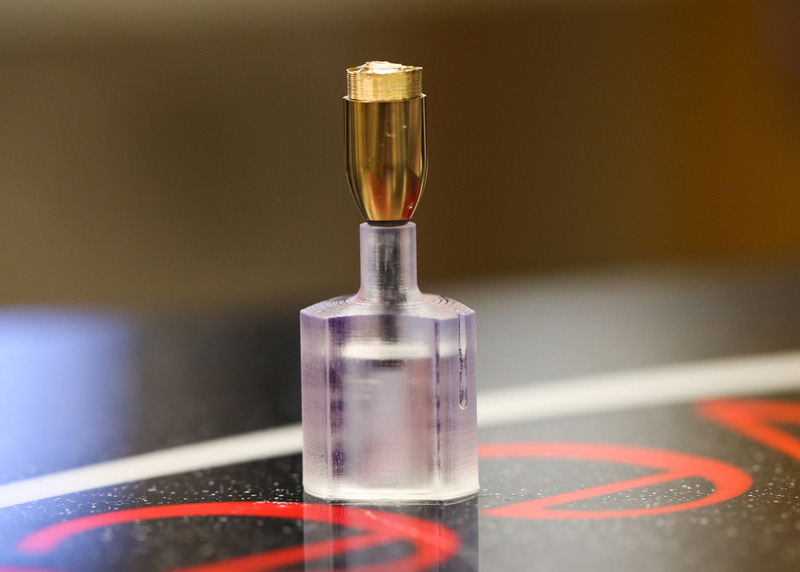 A new manufacturing method has led to a more cost effective standard bullet, allowing access to more laboratories. CSAFE not only owns a standard bullet, but our team’s firearm and ballistic research is leading to new technologies for bullet matching and cartridge case comparison. Find CSAFE tools for analyzing bullet lands or comparing cartridge case images on our resource page. CSAFE Director Dr. Alicia Carriquiry also recently contributed to an article highlighting the need for consistent standards in the firearms examination field. NIST also released a new SRM for Human DNA analysis. While the CSAFE team does not research human DNA, we partner with organizations such as the Innocence Project who work with this type of evidence. If investigators discover blood or other biological evidence at a crime scene, analysts can extract DNA to create a profile to compare suspects. Accuracy relies on an analyst knowing how much DNA is in the extract prior to processing. NIST’s new standard for creating suspect DNA profiles assists with calibration for this type of measurement. Learn more about other types of SRMs manufactured by NIST to ensure reliability of scientific evidence. Find additional information on NIST work and its partnership with CSAFE in our January 2018 blog post.